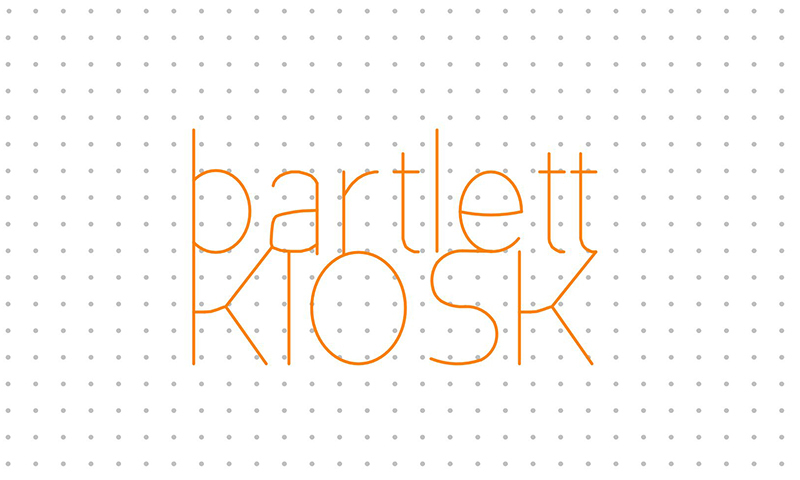 In the new year, we are launching a new, micro exhibition space - The Bartlett Kiosk. The Bartlett Faculty of the Built Environment is launching a new micro exhibition space for student work. Located next to the entrance to our Bloomsbury home, 22 Gordon Street, The Bartlett Kiosk will present work to the general public at street level. The Bartlett Kiosk will display up to fifteen exhibitions every year by students, individually or in groups, from across the Faculty's programmes, in the form of installations and digital, drawn, modelled and text-based work. Exhibiting students will benefit not only from the exposure, but will receive support with the fabrication and curation of the exhibition. Patrick Weber, Director of Exhibitions at The Bartlett School of Architecture says: "Exhibitions of architectural interest don't always have to be big to have an impact. I hope that exhibiting in The Bartlett Kiosk will encourage students to think creatively about different audiences and ways of having an impact in the built environment." Students interested in exhibiting in The Bartlett Kiosk should email Patrick Weber with their proposal.